Microsoft is planning to design Ms Office for ios platform. From the jobs advertised by Microsoft it reveals that Microsoft is planning for version of Ms Office for ios. The Job posting that appear on Microsoft site state that Company need OS X developers that have an experience in Microsoft Office for Mac Plus. The ad mentions power Point requirement for ios along with Excel. 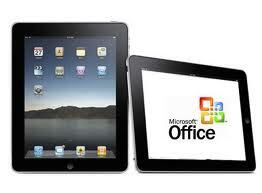 First target for Microsoft will be Apple iPad because Office is easy to use over there. With Office app for ios you can able to create and edit Word, Excel and Power Point slides. Job lists hints that Microsoft will bring Outlook for Ios platform. The outlook includes mail program. And Apple already has an app for mail program. Office 2013 unveiled preview version on July 16 includes cloud based apps including Safari. But when it will be released it includes Office for Mac 2011. “With this update, Office for Mac licenses can count as part of your Office 365 Home Premium subscription,” she wrote in an e-mail. Windows 8 and Windows RT have only one advantage over iPad that they have Ms Office. But if that comes in iPad there will be no superiority in them. But Microsoft has no concerns with Windows because “Microsoft’s future is not Windows”. With Office not liked by many people we are expecting the integration of One note with this. Also it’s expected that its first version will be released in November. 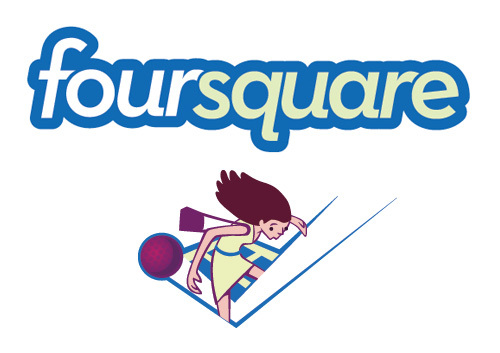 Four Square revamped Local and Prompted Updates for IOS. Foursquare a location based app has been revamped with various new features. The location based app that includes location based check-ins and explore option. Foursquare now adds various new features like Business ratings and social content. There are two kinds of updates one is local and other are prompted. The local one is business that based on Check-in and prompted one enables business man to send content to users. This prompted option is added under “Explore” tab and local update in Friend activity stream. The new feature for business gives opportunity to business people to create unique messages about deals for free. The concept is same users claim regarding check-ins, with this new feature you can claim and search for business offers that helps you support business. Business person will receive Business update according to their check-ins and how much they are active on foursquare. When foursquare users receive updates you can select according to certain business. “Foursquare is faced with the challenge that many online and mobile pure plays in the local space are faced with. It has to rely on businesses signing up for and managing campaigns on their own. The challenge in the small business marketplace is that a lot of small businesses are not technically savvy or might not have the time.” Said Michael Bond. Earlier with in this year Company has added various updates but this is biggest one among all. This is company step to generate revenue. This update will be coming to Android and RIM soon. Apple iPhone 5 on verge of record breaking Demand. Apple iPhone 5 is coming this quarter. Apple fans are desperately waiting for that. Despite Apple releases one smart phone yearly but curiosity among Apple fans regarding Iphone can be seen among reports that come yesterday. The survey conducted by Apple Change Wave reveal that out of 4000 consumers 14 % are likely to buy next iPhone and 17% said they would some likely to buy it. Almost one-third of consumers state that they will likely to buy next generation smart phone. Observation regarding survey state that with Apple’s each smart phone demand for next iPhone increases. Last year iPhone 4s survey before launch, reveals that 10 percent people are likely to buy iPhone and 11.5 are some what likely buy that. And at that time with iPhone 4s 4 million sales it was considered as the most successful smart phone. It was also surveyed for Samsung Galaxy but 7 percent said they are likely to buy and 2 percent said that they are very likely to buy. What the iPhone 5 will bring its all in rumors but most expected that it will come with Retina Display, 19-pin Dock connector, ios 6, 4-inch display, Liquid metal display and lot more. At Verizon conference, Company hinted that it will release iPhone 5 in 4th quarter. *Nokia (2%), is seeing a slight up tick in consumer smart phone buying, with a one-point increase in the last three months. “While it’s only a one-point increase, it remains a hopeful sign for their new Lumia device as well as their strategic partnership with Microsoft,” states the report.